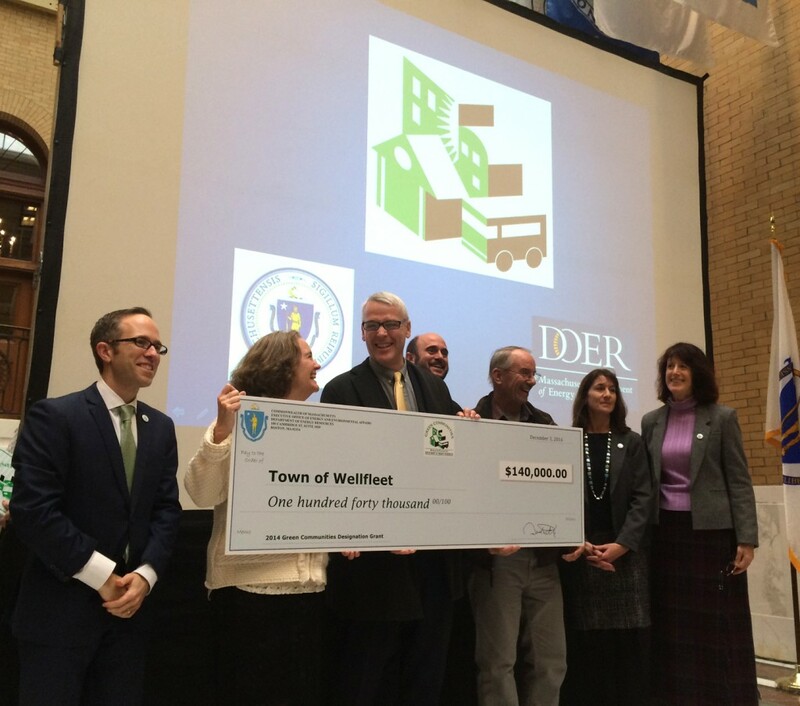 Wellfleet has joined 123 cities and towns from all regions of the state, ranging in population from 393 to 617,594 residents, that are now designated as Commonwealth “Green Communities.” As energy leaders in Massachusetts, Green Communities are eligible for state grants. More than $28 million from those Green Community grants is already at work in 110 communities, with more than $2 million in additional grants for energy projects in the newest 13 designated communities now pending. Criteria 5 – Adoption of the Stretch Energy Code. Adopted at ATM 2014 as Article XVI of the General Bylaws. A zoning article implementing this requirement passed the Annual Town Meeting in April 2013.